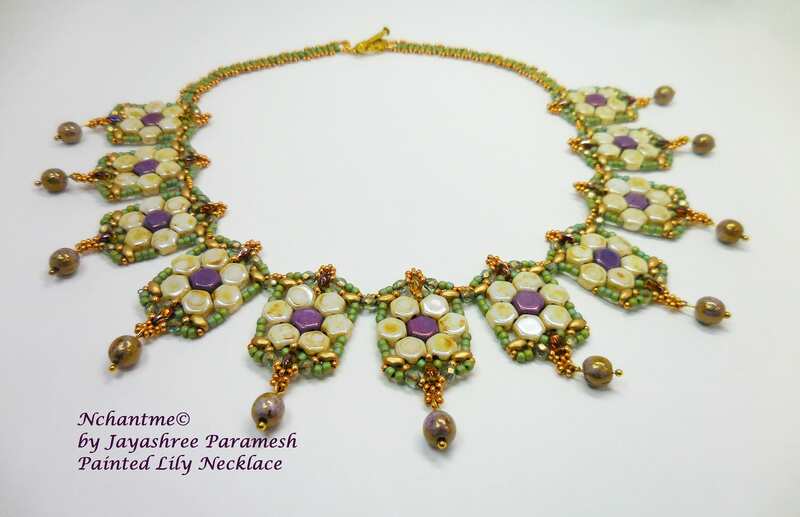 Painted Lily Necklace was inspired by Monet’s famous “Water Lilies” paintings. As the morning fog lifts on the beautiful ponds and lakes, barely-there hues of water and the blooming water lilies take on a misty sweet color palette which is intensified by the rising sun. 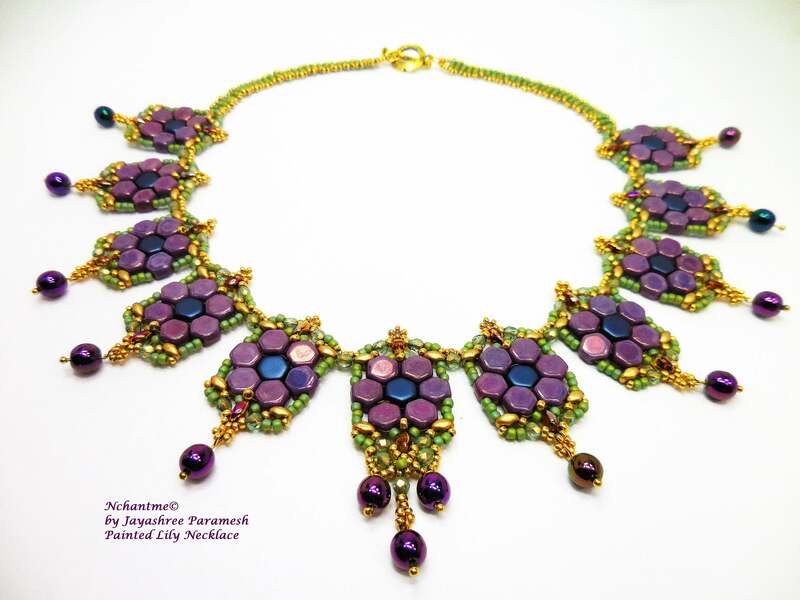 This necklace has many components that look like water lilies in a beaded frame. 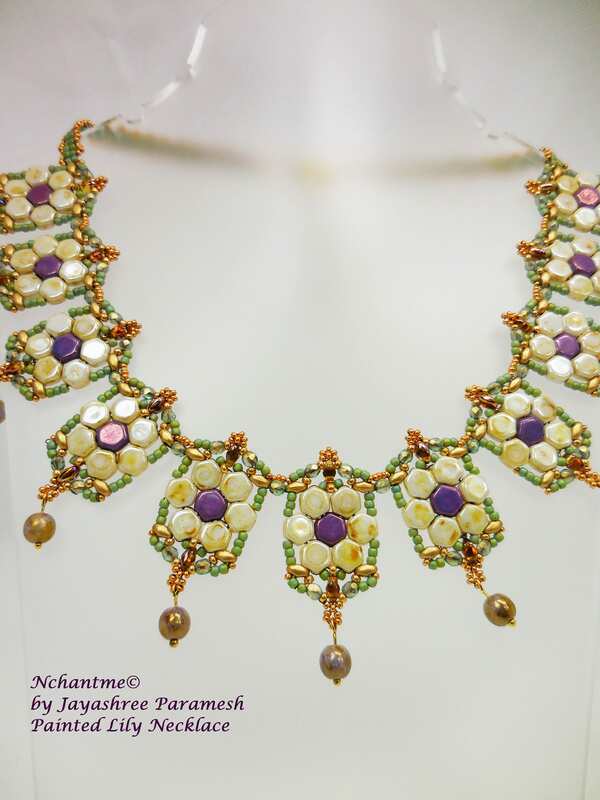 It is beaded with honeycomb beads, super duos, mini duos, and other beads. Techniques: Square stitch, ladder, picot and other stitches. 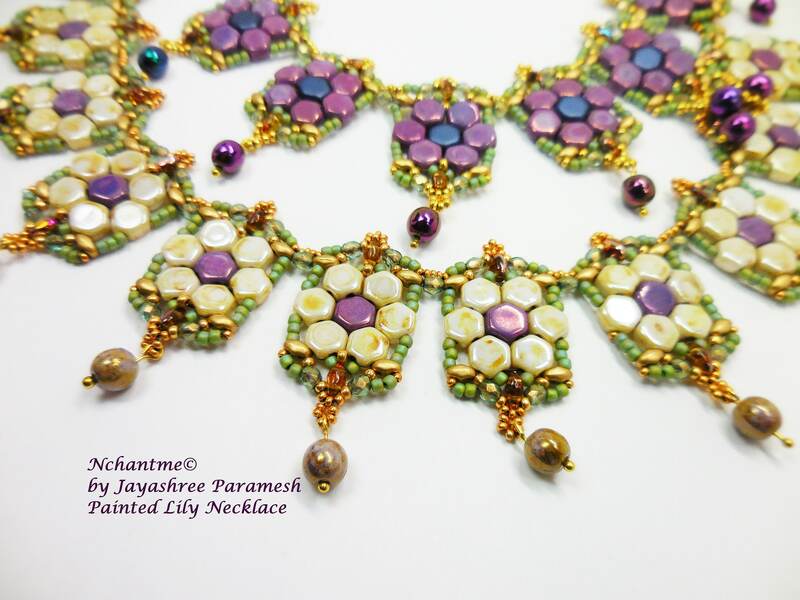 Tutorial includes detailed text in English and 47 digital illustrations to make this project easy to bead. 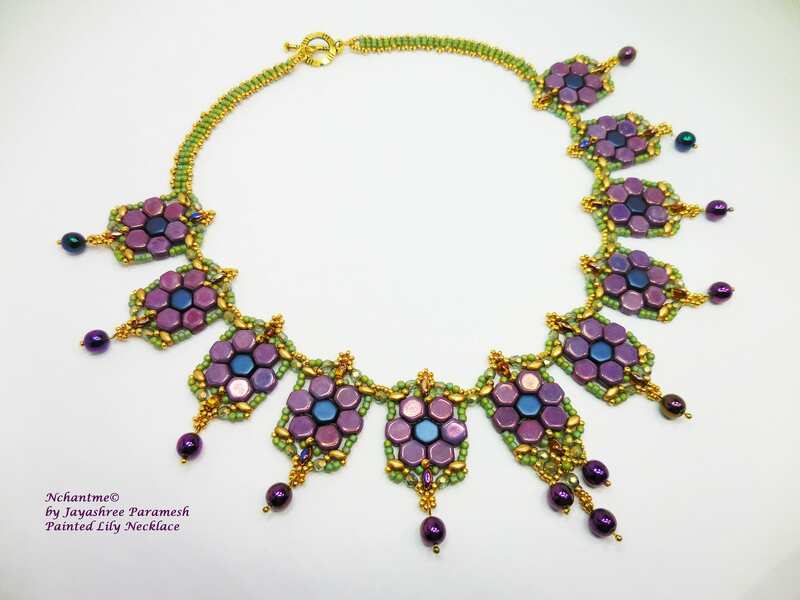 This design uses Czech glass Honeycomb 2 hole beads in 2 colors. This bead is available in my shop in limited quantities. Check shops near you for availability.